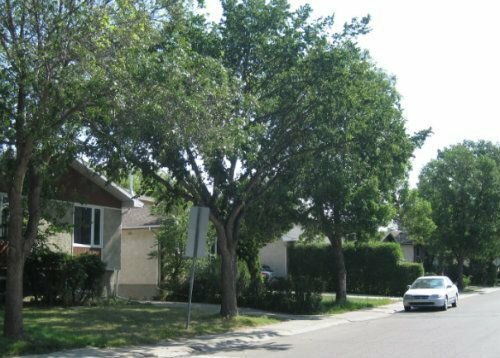 Search the latest Sherwood Estates real estate listings in North Regina below! Sherwood Estates is located west of McCarthy Park, north of 9th Avenue N., east of Courtney Street and South of Rochdale Boulevard. The new Coopertown development will be constructed on Sherwood Estates western boundary. Sherwood Estates real estate is primarily a single family residential area with some condominium style homes just off Rochdale Boulevard. There is also a small commercial space along Rochdale Boulevard across from the Northwest Leisure Centre. This commercial area has a bowling alley, convenience store, office space, dental clinic, and Chinese takeout restaurant to name a few businesses. Browse through the Sherwood Estates homes for sale available below, or read up on this newly established North Regina community. Many of the Sherwood Estates homes for sale were constructed in the 1970’s and 1980’s. Many of the homes are either bungalows, bi-levels, split level homes and two storeys. This area is popular for first-time home buyers and revenue investors. There are two elementary schools in Sherwood Estates; Centennial School will become a new French Centre for the north of Regina. All students in the French Immersion program will remain at Centennial School and the english program will be transferred to the new Rosewood Park school. There is also a catholic elementary school, St Jerome School, located at 770 Rink Avenue. Sherwood Estates has a large central park that joins the two school yards. Hayworth Crescent Park boasts a large football/soccer field with a walking path around its perimeter. Interested in learning more about the available Sherwood Estates homes for sale? Please contact the Tourney Group online or call 306-789-1700 to consult an experienced Regina real estate agent.